This is a completely customized pull rope fighting theme wedding cake topper ordered by one of our customers. The groom is from the USA and the bride is from Brazil. Groom want convince bride to come live in the USA, and bride want convince him to come live in Brazil. So they designed this Tug of War wedding cake topper. 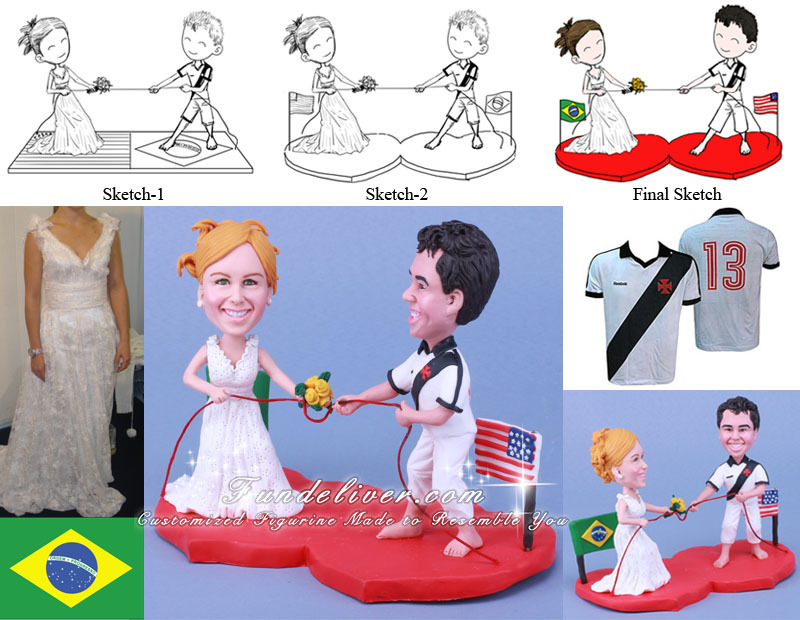 The figurine is standing on a double hearts shaped base with USA flag on groom’s side and Brazilian flag on bride’s side and they're pulling a rope, like they're playing pull rope fighting. Bride is in her white dress with tiny flower patterns and groom in his soccer team shirt and white pants rolled to his knees. 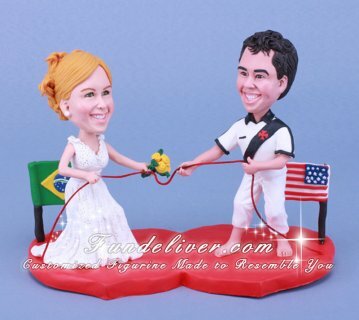 Love this multi national and ethnic wedding cake topper? If you are from different nations, what is your idea about your topper?